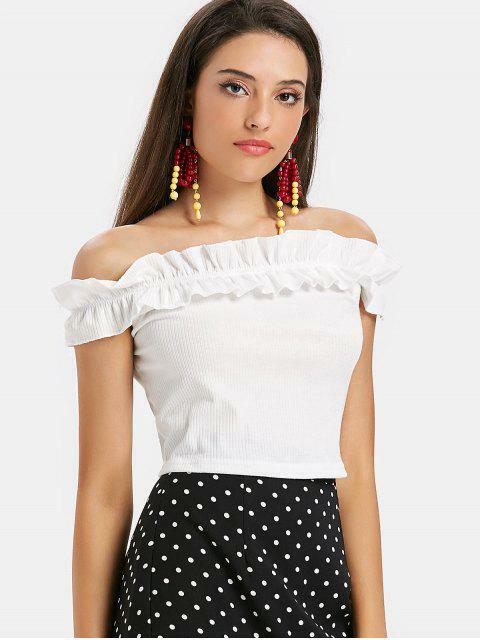 [60% OFF] 2019 Off Shoulder Ruffles Tee In WHITE | ZAFUL ..
a fan of off shoulder top, absolutely loved it :) slightly stretchy material, cropped top. Check this must-have out for your summer wardrobe. Featuring a solid color hue, this alluring cropped tee is stunning for its charming off-the-shoulder collarline, pretty ruffles, and fitted shape. Just go with your fave skirts for maximum points.